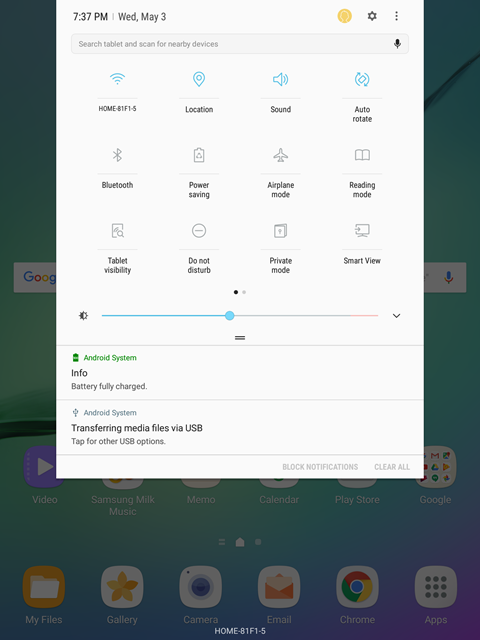 Last month, Samsung rolled out the Android 7.0 (Nougat) update for the Galaxy Tab S2. Samsung introduced the Galaxy Tab S3 with Nougat in March, but if you think the Tab S2 is just fine, then a free upgrade to Nougat on your Tab S2 may be what you’re looking for. If you upgraded your Tab S2 to Nougat, or you’re interested in upgrading, I’ve written a new article about the biggest features in Nougat. You can click the link on the right side of this page, and this PDF-format article is free to read. The latest chatter on social media says a Nougat update for the Galaxy Tab A is imminent. However, it’s less clear if Samsung will update the original Galaxy Tab S with Nougat. The SamMobile website is a great resource for the latest Samsung firmware updates and other Samsung news. This Tab S2 article will be the last I produce for a while. Next week, I’ll start writing Instagram for Business for Dummies for Wiley with my co-authors Corey Walker and Jenn Herman. If all goes well, that book will be on store shelves for the holiday season. At the very least, the book will be ready for next February’s Social Media Marketing World conference. While I’m writing the Instagram book, I don’t plan to disappear as I did in March. I’ll have news about the book and other interesting stuff to share. I want to explain why my business is no longer a member of the Better Business Bureau. I have some thoughts about local restaurants if you’re coming up to Amador County sometime this summer. I’m also going to pester some of my co-authors of other books to contribute articles and let you know what they’re thinking about. In the meantime, have a prosperous Friday and a wonderful Mother’s Day weekend.